This property is for sale and subject to showings with a 24 notice. My property manager has 24 hour access and will show the unit. SECRETS at SAPPHIRE! What's your secret? Shh! 'What happens in St. Thomas, Stays in St. Thomas!' Perfect for your affordable romantic get-a-way or your honeymoon. How about just a SECRET vacation? Join us! Stay where my family stays on St. Thomas. Our condo is located in the beautiful 'East End' of the island above Sapphire Beach. On top of the hill is Sapphire Village. We have the upper pool right out the front door, the lower pool, bar and restaurant, down the path, and of course, the beautiful sands of Sapphire Beach and teal Caribbean waters a short walk further. 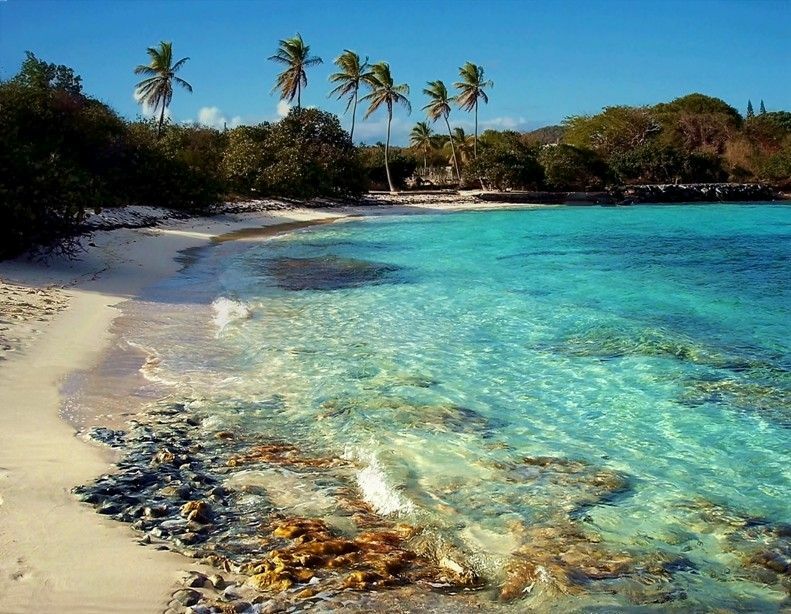 - Close to the ferry dock to St. John and St, Croix, and the BVIs. - Nice breezes blowing around the entire complex. - Great snorkeling, sailing, diving, para-sailing, fishing and duty free shopping close by. We are the 'Zundels'. Welcome to our little piece of Heaven on earth. Ron works construction and I (Samantha) spends time with our three children. We are a homeschooling family that likes to spend our vacations together on the beautiful island of St, Thomas. We lived on the island during a construction project a few years back and had to return. The island is our home away from home. The Caribbean calls to us just as it will you. The sand is always between our toes and the salt air sweetly fills our lungs. This property is for sale and subject to showings with a 24 notice. My property manager has 24 hour access and will show the unit. This year Ron and I (Samantha) celebrated our 20 year wedding anniversary in the Sapphire Village condos. We had the anniversary of a lifetime. Together we made the decision to purchase a condo. The five of us vacation together in our little piece of paradise. The kids can play at the pools or snorkel in the ocean. The stocked kitchenette makes breakfast, lunch, and dinners a snap. We love the location of Sapphire Beach and the prestigious town of Redhook. The easy drive to the ferry docks makes it all the better. Vacation with us and create your vacation of a lifetime. Your 'SECRETS' are safe with us. This property is for sale and subject to showings with a 24 notice. My property manager has 24 hour access and will show the unit. Why SECRETS at SAPPHIRE? Economical! Do the Caribbean the economical way. Stay here once and you will see. Our condo has everything you need to create a once in a lifetime vacation at a very affordable price. Spend your hard earned money on beach activities, exploring, touring the BVIs, snorkeling on St. John, visiting the duty-free shop downtown, and whatever else your heart desires. Beautiful Ocean view from the windows. A short pleasant walk down to the ocean. Beautiful breath taking view of the Caribbean. WiFi is available in the unit, down at the office and at the lower pool. Walkout to the upper pool or walk down for easy access to the lower pool and beach bar & Grill. This property is for sale and subject to showings with a 24 notice. My property manager has 24 hour access and will show the unit. Housekeeping during your stay is available for an additional charge. Your reservation included your cleaning once you finish your vacation. It was absolutely perfect and just how it was described! It was a very pleasant stay! The condo was very clean and the property had so many amenities that made my stay perfect! Can’t wait to go back!! Great location. But make sure construction is done when you go. Loud banging all day (even Saturday) beginning at 8am. Internet was out 3 of 7 days. We love St. Thomas and this is our 6th time at the island - always have stayed at Sapphire because the beach is phenomenal and close to ferry in Red Hook. Glad to be the first renters for this place since the hurricanes. Place was perfect for the 2 of us, clean, well equipped and a gorgeous view. We didn’t rent a car, but taxis and safari ($2) were easily available. Enjoyed the 2 pools and Slice for food/drinks. Bring comfortable shoes for walking as it is hilly at a couple of points. Hosts were easy to reach and checked in to make sure all was well. Great value!! Thank you for your kind review. We did survive the storm, praise the Lord! As soon as we can get power and fresh water again, come down and see us! This is the second time we've stayed at Secrets of Sapphire and it was just as perfect! Secrets at Sapphire is our St. Thomas home. It is convenient to the safari service and ferry docks. The view is beautiful as well as the condo. Samantha has everything you need for your stay. It is extremely clean! Thank you for your kind review. We are so glad that you choose to visit us again. Perfect place and super cute to boot. Easy walk to the ferry to St. John, shopping and dinner. Will definitely be back. SECRETS at SAPPHIRE is at Sapphire Village is a condominium complex on the east end of St.Thomas above Sapphire Beach. It is near to the ferry dock to St. John and the BVIs. There is a wonderful restaurant located on the property. We also have a beach bar located on the Sapphire Beach that has beach toys for rent and other fun activities during your stay. Join us at the top of the hill in the St. Kitts building for a romantic and economical stay on the beautiful St. Thomas. Great prices year round. Wifi is available in the unit.